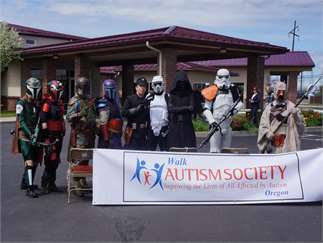 1/2 mile Family Friendly Walk, A Fabulous Raffle and Silent Auction, Prizes, Lunch for Registered Walkers Donated by Food 4 Less, Crafts by Home Depot, Bounce Houses, Face Painting as well as Star Wars Cosplayer's From Cloud City Garrison and the Concordia Clan, Community resources and Lots More. 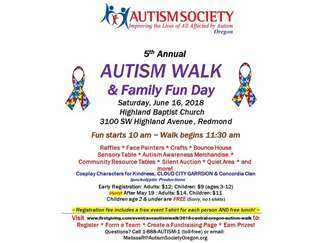 This event is going to be alot fun for the whole family whether you have Autism are just want to come out and show your support!! There is something for everyone ! !